“We are the largest escalator parts wholesaler in Brazil, my customer needs a type of escalator deflector brushwhich can fit his escalators. Are you able to custom-make escalator deflector brush for me? We don’t have experience in this field, but please ensure the escalator deflector brush can match well with my customer’s escalator.” We received the inquiry from Brazilian Diego these days. One minute after receiving Diego, our service persons replied in no time: “Hello, Diego! We are the escalator deflector brush manufacturer with over 10 years’ experience. Once you tell us your lifting height and angle, we can custom-make the escalator deflector brush for you. In addition, the escalator deflector brush will be made according to the bending part of your escalator.” After recommending D08 model (6063 Aluminum Alloy as the escalator deflector brush base, Durable, Tidy and tight Bristles with good flexibility, strong tension) to Diego, he asked for samples from us immediately, and placed orders for 10 escalators one week later. After two months, Diego wrote to us and shared good comments of his customers with us. And he told us the quantity of his order. 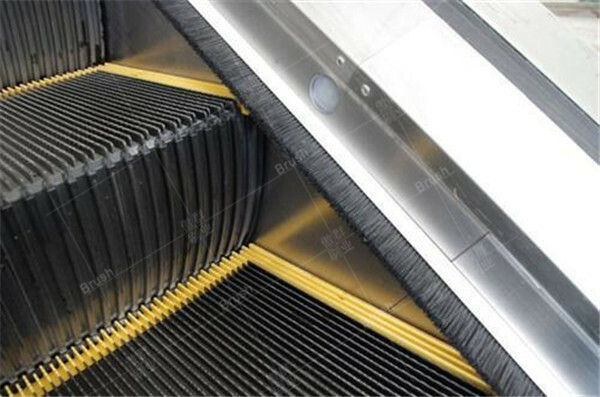 He quite appreciates us to recommend D08 escalator deflector brush; not only can it fully match with his customer’s escalator, but also bring a good look and more safety to his escalator, which can improve the brand image of his customer. Diego claimed that if he needs more escalator deflector brush in the future, AOQUN must be his first choice! 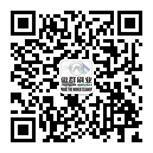 A young lady Ms. Qian from Shandong called: "I just saw the escalator parts safety brush on your website. It is exactly the product I have been looking for a long time. 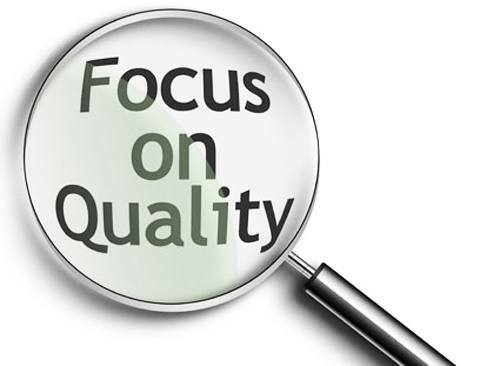 Can you provide quality assurance?" It is known that Miss Qian has suffered heavy losses due to quality problems, and the supplier shirked responsibility, so she needs to change suppliers. Our customer service Stacy answer very positively: It has two years warranty , if there are any quality problems for the escalator parts safety brush within two years, the escalator parts safety brush can be replaced for free. Also, it can be repaired free more than two years. If you have operation problem while you install escalator parts safety brush, you can call AOQUN at any time, and the professional sales engineer will explain it to you." Then I introduced the material performance of our products to Ms. Qian in detail. And Stacy provided a quality inspection contract half an hour after the call. After receiving the quality inspection contract, Miss Qian immediately placed an order for three-unit escalator parts safety brush from our company. After the delivery, Ms. Qian is very satisfied with the quality of our company AOQUN and feedback to us "Your quality is very good. It is no wonder that you dare to carry out the quality assurance. All the orders of our company will be ordered to your company. And I will sign a strategic cooperation contract with you from now on." The escalator incident has made governments pay more and more attention to the safety of escalators. The installation of escalator safety brushes on the escalator aprons is an important preventive measure. More and more countries are making mandatory requests. Recently, South American customer Rafael asked to inquire about the escalator safety brushes and asked if our escalator safety brushes meets international safety regulations. AOQUN escalator safety brushes has passed the GB16899 and EU EN115 certification, and meets the safety requirements of A17 and B44. It is suitable for escalators in Asia, Europe, America, Australia and other countries. According to the particularity of some areas, such as the length of the apron extending from the brush, the thickness of the brush, etc., there are strict requirements, all of these can be satisfied by AOQUN escalator safety brushes. 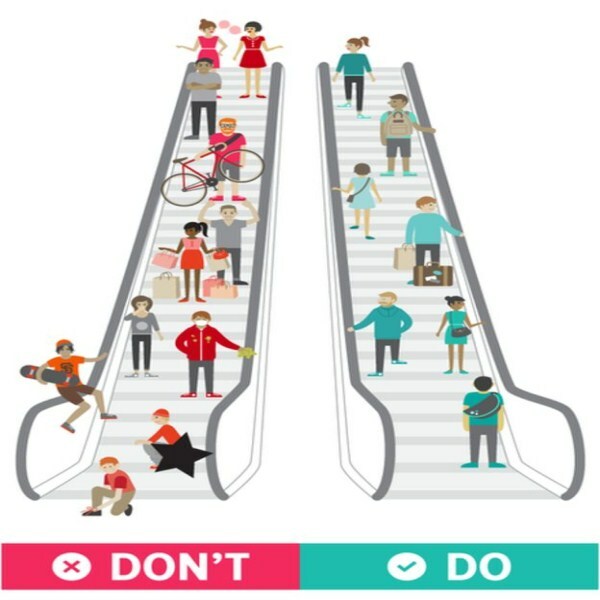 In the past few years in South America, due to the mandatory requirements of the government, old escalators need to be equipped with escalator safety brushes. AOQUN escalator safety brushesare exported to Brazil, Mexico, Chile and other countries, and are well received by customers, with continuous return orders. Rafael is attracted by the professionalism of AOQUN escalator safety brushes, and he provided the express account immediately, let us quickly send the samples. Now Rafael has received the goods and successfully installed AOQUN escalator safety brushes at airports, shopping malls, resorts and other places. Rafael just sent an e-mail, saying that there are 20 escalator projects in progress, let us prepare the raw materials to guarantee the fastest delivery. 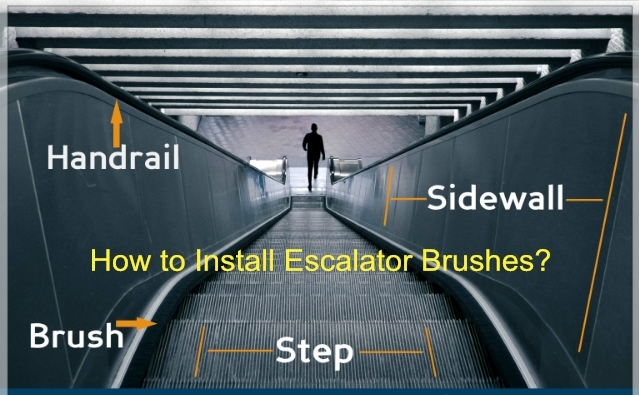 How to Install Automatic Escalator Safety Skirt Brush? Mexican customer Samson received an order for 30 escalator safety skirt brush. However, he is quite vexed about that since this is their first time to purchase automatic escalator safety skirt brush. They even didn’t know how to install the escalator safety skirt brush. Originally, Samson never imagined that we had the answer. Out of his expectation, when he put forward this question, we showed him the installation instructions of automatic escalator safety skirt brush within half an hour. 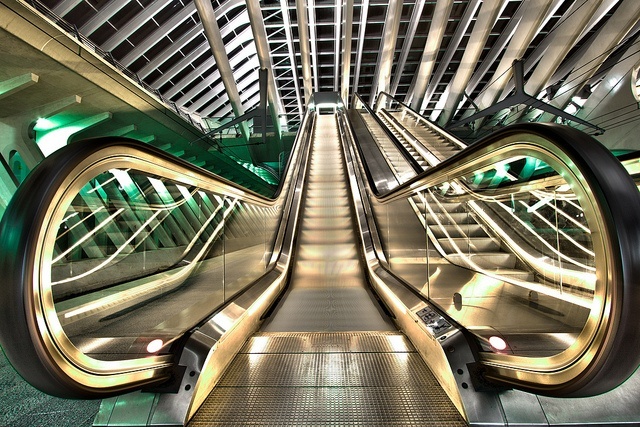 Aoqun is serving all the escalator projects around the world, with over ten years of experience. We also meet a few maintenance providers and wholesalers who require us to offer them the instructions. Aoqun engineers provide a suitable installation instructions according to Samson’s drawing and our operational experience, with the English version for his reference. Samson was so happy and appreciated us to solve his big problem and help him win this project. Sure, he won’t forget Aoqun Brush is the professional manufacturer of automatic escalator safety skirt brush. He immediately placed the order seven days later. A customer is from Philippine called Josh asked us how long is the lifetime of our escalator skirt brush parts? Before that, the escalator skirt brush parts he bought from other Chinese manufacturers was severely deformed in less than half a year, and the density was uneven, which could not play the role of anti-pinch. 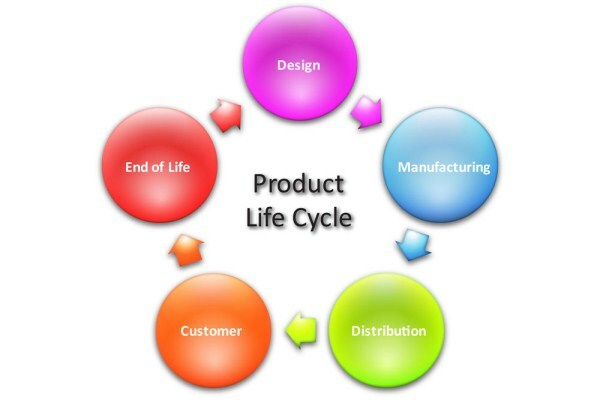 In fact, product life has always been a key performance that customers are most concerned about. The unit price of the product is cheap, and the service life is short, that is why the consumer's use cost is increasing; on the contrary, the unit price is slightly higher, but the product has a long lifetime for using, which is equivalent to lowering the consumer's use cost. AOQUN has always been concerned about the lifetime of the escalator skirt brush parts. It adopts the best and purest nylon and aluminum alloy materials, with the exquisite escalator skirt brush parts making process to ensure the tensile strength of the escalator skirt brush parts while being able to withstand One million times high-speed friction without any deformation, ensuring the structure of the escalator skirt brush parts is complete, and the safety anti-pinch function is remarkable. Customer service Xiaosi recommended two escalator skirt brush parts to Josh. After the sample test passed, Josh confirmed the first order. Whenever we ask some customers about the effect of using the escalator skirt brush parts, when is there a new order demand? we usually hear customers say that your escalator skirt brush parts are still very good and do not need to be replaced! Josh also said the same word in spite of using our products for two years!